Home / geekspeak / What are UltraViolet movie downloads? What are UltraViolet movie downloads? Next time you buy a movie on disc, check to see whether there’s an UltraViolet download code in the box. Despite the predictions of digital hipsters, optical discs are far from dead. Many people still prefer to buy their movies on DVD or Blu-ray, but they also want the option of watching those movies on their computers, smartphones and tablets. It’s not hard to rip movies from disc to your computer using tools like HandBrake, although unfortunately under Australian copyright law it’s only legal to rip music and not movies. Hollywood came to the rescue a few years ago with the introduction of Digital Copy, bundling a redemption code with discs so you can download a copy of the movie. Unfortunately the Digital Copy scheme has been a mess and you never know what you’ll get. Sometimes there’s a code for iTunes, other times Windows Media Player, Android or the PlayStation Network. These night not match with your devices and you never know if you’ll be left in the lurch. UltraViolet is the movie industry’s effort to sort out this mess by introducing a single Digital Copy standard for all movies. Once you’ve redeemed the UltraViolet code included with your movie on disc, you can watch it on Windows, Mac, iOS or Android devices. JB HiFi and EzyFlix run Australia’s two UltraViolet movie services, with EzyFlix also letting you stream movies to Google’s Chromecast. There’s also an EzyFlix app for Samsung Smart TVs and it should be coming to other home entertainment devices in the coming months. The great thing about UltraViolet is that it’s cross-platform so you’re not forced to stick one device. This is great news for mixed households who jump between iOS and Android gadgets. Windows Phone 8 users wanting to watch UltraViolet movies users should try the Flixster app. 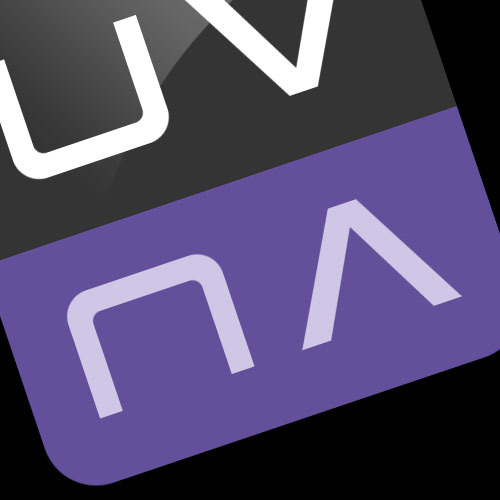 To make life complicated, Apple and Disney have refused to get onboard with UltraViolet. Disney movies offer “Digital Copy Plus” – giving you the choice of Apple’s iTunes store, Google’s Play store or the cross-platform EzyFlix. Unfortunately you can’t pick and choose – if you buy a copy of The Hobbit you’re stuck with UltraViolet even if you wanted an iTunes copy. Inversely, if you buy a copy of Iron Man 3 you’re stuck with Digital Copy Plus even if you wanted UltraViolet. A glance at the shelves in your local video store reveals we’re far from sorting this mess out. EzyFlix is the common denominator here which might make it a smart choice for some homes, but there are limitations. The strength of EzyFlix is that you have the option of streaming your movie or downloading it for offline playback. The weakness is that you can’t download an EzyFlix movie once and transfer it between devices, as you can with iTunes. If you want to watch an EzyFlix movie on your computer, smartphone and tablet you need to download it three times. Delete it from your smartphone to free up some space and you’ll need to download it again, you can’t copy it across from your computer. The UltraViolet consortium is working on this limitation, developing a Common File Format for transferring movies between devices, but it is at least 12 months away. At that point UltraViolet will shape up as a serious competitor to iTunes, but for now your digital movie library is still likely to be a hotch potch mess.